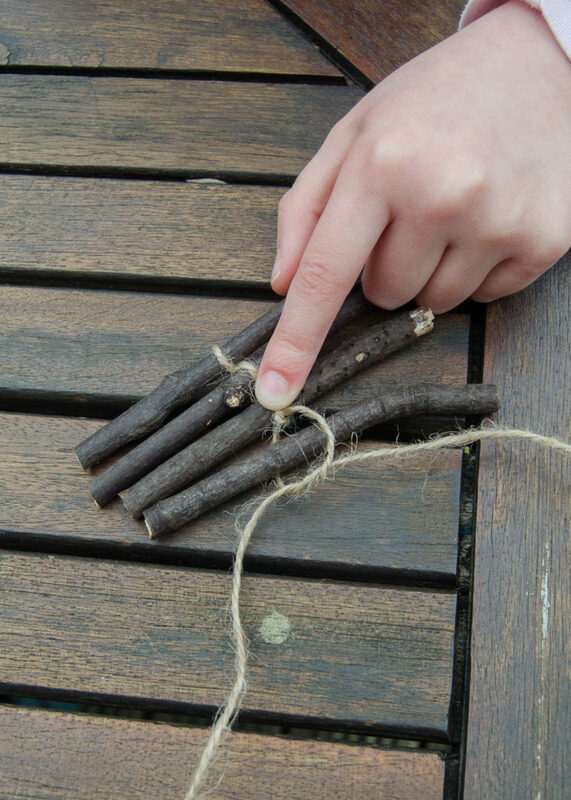 If, like us, you have an ever-growing stick collection, this is the perfect nature craft for you! 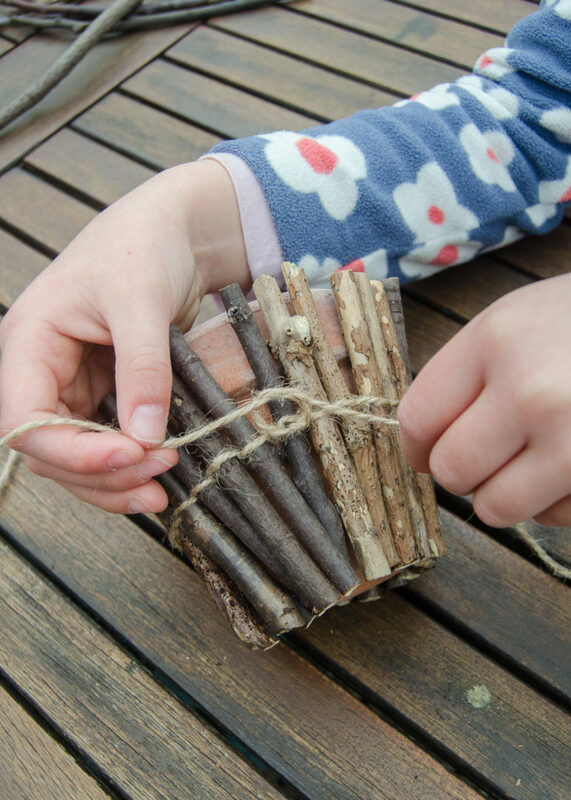 Sticks and twigs are just brilliant for crafting, and this little project turns them into a lovely homemade gift. All you need is a plant pot, some string, and a little plant to pop in when you’re finished. The idea is to create a length of tied-together twigs that you then fasten around the pot. Start off by measuring each stick against the height of your pot, then cutting it to size with secateurs (this is a job for the grown-ups). 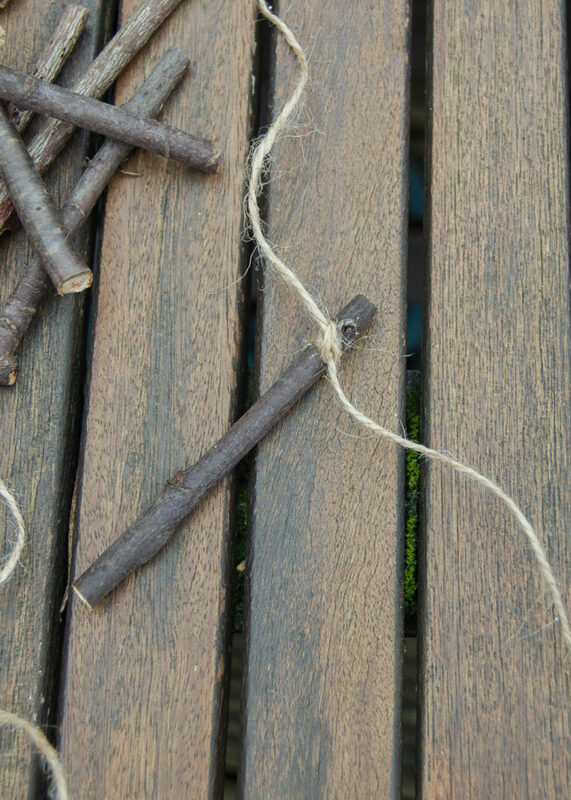 Cut a long length of string and tie it onto your first twig, leaving equal lengths of string left at each end. We found that a single knot was secure enough. 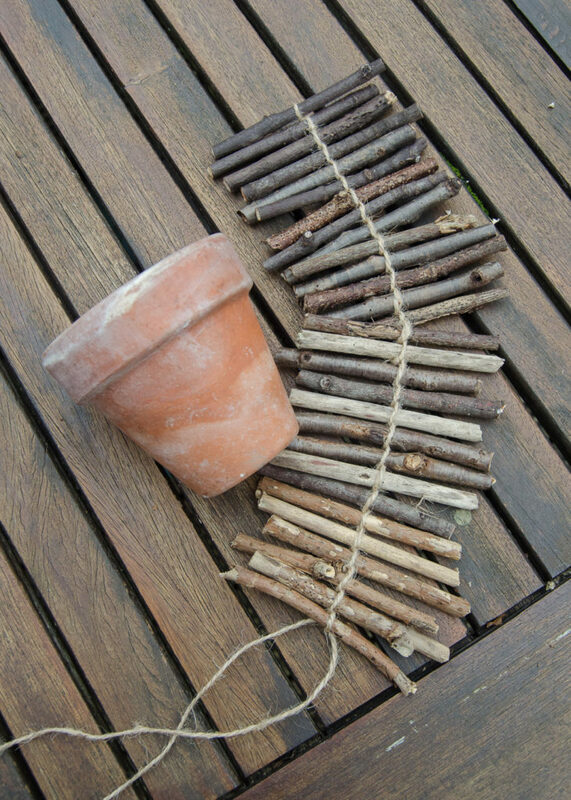 Next, you simply carry on tying on one twig at a time until you have a line of twigs long enough to wrap around your pot. This can feel a bit fiddly at first and you might need to help children get the hang of it, but you’ll soon get into a rhythm. 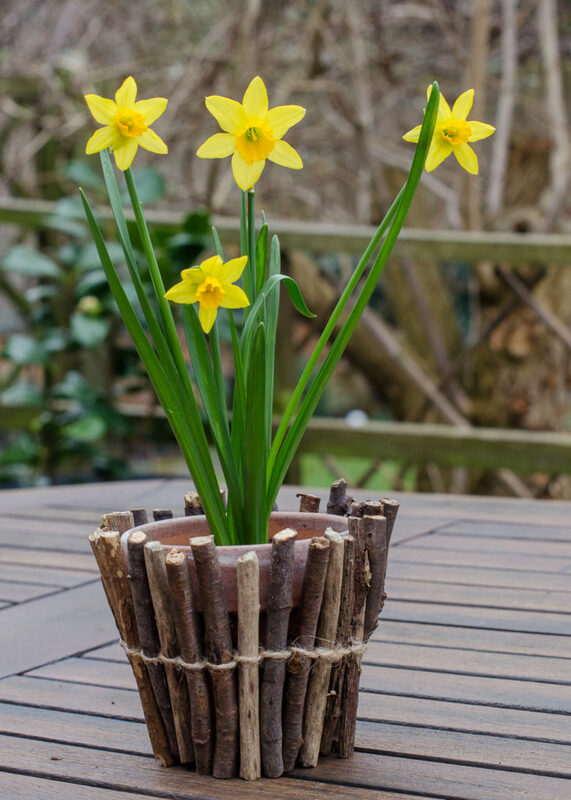 We used quite a small pot, and it was enough to only have one knot in the middle of each twig; if you’re using bigger flower pots I think it would work best if you used two lengths of string and tied a knot at the top and bottom of each stick. 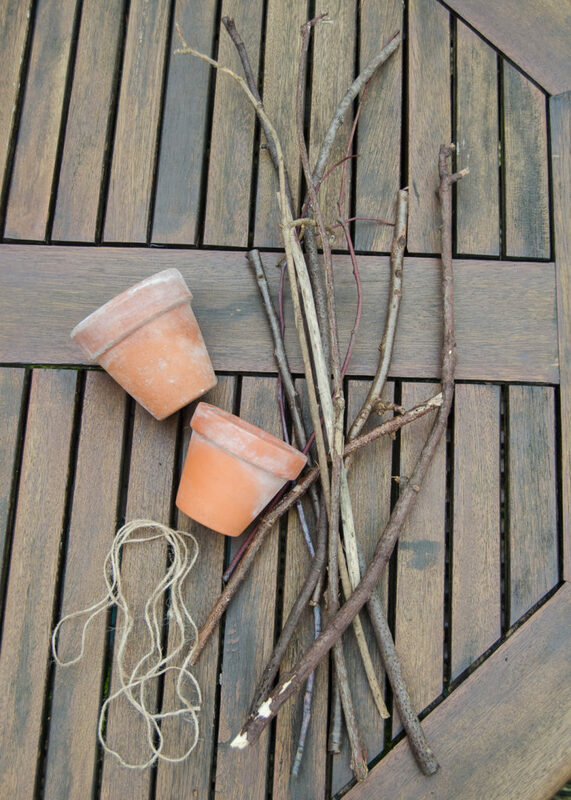 Keep checking your length of twigs against your pot to see if you need to add any more. 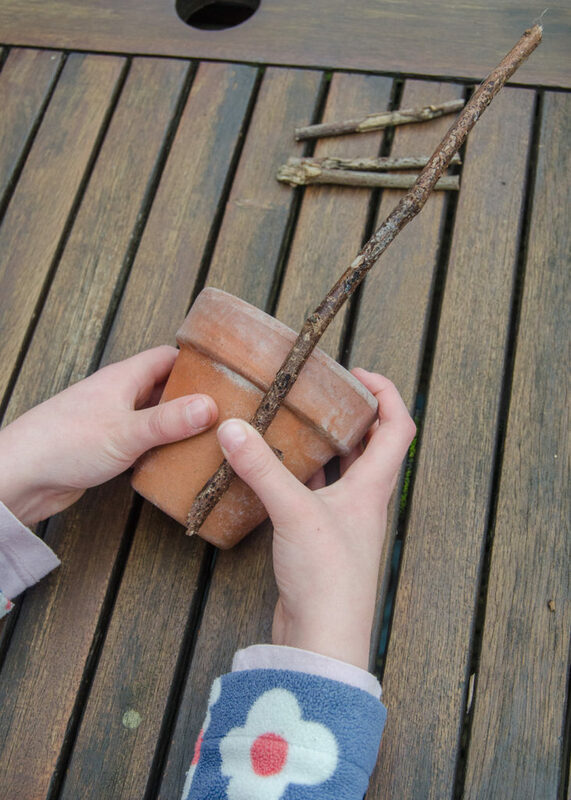 When your length of twigs is the right size, wrap it around your pot and tie it with a double knot to keep everything secure. Now all you need to do is add your plant and you’re done! What do you think of our finished pot? 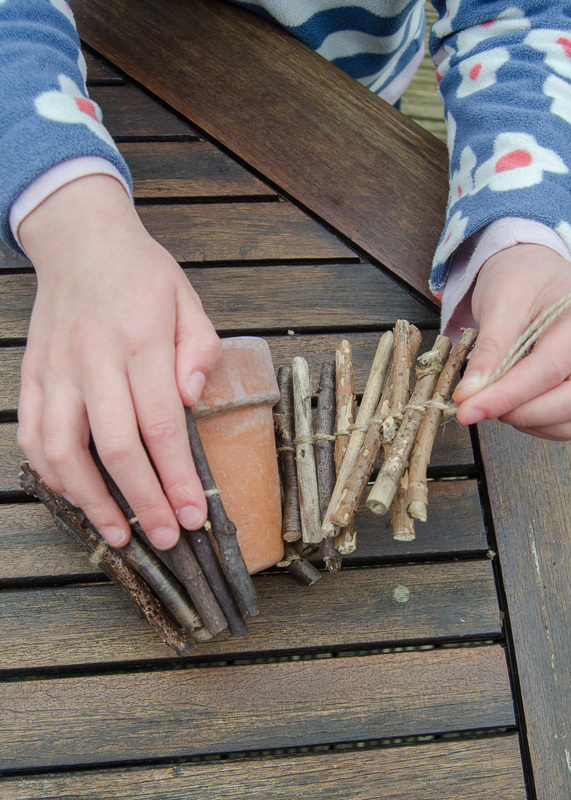 It was quick and fun to make, and a great way to explore natural materials. I think this is a lovely idea for a homemade Mother’s Day gift – will you be having a go at making one? This is a cute craft for the grandkids to make. They are always gathering up twigs. Yes it’s perfect for them isn’t it – I think we’ll be making a few more very soon! Thank you this is a great idea. We are always cutting woody plants so this is a fab use for them.